Even possession in the first 10 minutes made it a difficult start for both teams. Dragons had the break with an early short corner which was delivered to Hayley Toleman who slipped to Hannah Phillips who slotted home in the bottom left corner with ease. The game opened slightly and city had a break just a few minutes later, which ended in a shot on target which needed the quick feet of siobhan cleeve in the dragon’s goal to execute a fantastic save meaning that dragons continued to hold the lead. Dragons were unfortunate not to add to the tally when Issy Wolfe had a storming run down the left side beating 2 players and gaining entry into the D to then fire in a reverse stick pass across the goal which would only have needed the smallest of touches. Possession continued to be even but quality defending by the dragons made it impossible for city to catch a break. And with that the 3rd short corner of the game was awarded to dragons..initially the ball seemed to stray but determination from Lara Taylor and quick reaction from Marie James meant the ball fell comfortably for Hayley Toleman who smashed it home for goal number 2. A late counter attack by city meant the dragons defence needed to be o point and once again they did not disappoint. Half time – 2-0 dragons! The second half started with the same dynamics as the first. Even possession with neither team dominating meant it was becoming difficult for dragons to increase their lead that was until – the 60th minute when dragons were awarded their 4th corner of the game. A perfect drag from Holly Redding to Olivia Thomas who stopped the ball comfortably for Hayley toleman to slip left for Hannah Phillips who hammered home her second, dragons 3rd and making it 75% goal rate from short corners! City did not stop the fight and troubled the dragons enough to earn themselves a short corner. The corner from city was well worked which meant the dragons defence had to cover every angle which left the shot for siobhan cleeve who effortlessly cleared the high shot to her right..another fantastic save to keep hold of the clean sheet! City attacked and with fearless goal keeping again siobhan cleeve came out to make a storming sliding tackle in the dying seconds of the match! Dragons take a 3-0 win and hope to retain this winning form for the penultimate game against old Loughts at home next week. Dragons Ladies 2s welcomed Colchester 1s to the Den for a key game for both teams in the battle to avoid relegation. The home team were boosted by the availability of two key players in Lizzie Moulton and Marcy Windsor Waite and felt confident with their recent upturn in form and ready to overturn the 3-0 defeat in the away fixture at Colchester. The hosts started brightly, forcing a few short corners in the first 10 minutes and were enjoying the lion’s share of possession, through the midfield of Shelly Seaman, Lizzie Moulton, Gail Thomas and Helen Busfield. The introduction of Kiera Goymour and Hannah Hardy after 10 minutes had an instant impact and as a result of some good hassling in midfield, Gail Thomas found Shelly Seaman from a free-hit, Seaman fired the ball into the D towards Laura Ward and Lizzie Moulton who managed to find Hannah Hardy waiting to pounce on a loose ball in the D. 1-0 to Dragons. Defensively, Dragons looked strong with Donna Vaughan, Sarah Borrett, Rowie York-Smith and Captain Karen O’Neill-Simpson snuffing out attempts by Colchester to find away to Emma Cleland’s goal, however when the defence was breached or from Colchester short corners, the visitors found Cleland was in fine form, clearing the ball with feet, legs and hands! Unfortunately for the home side, a Colchester short corner on 31 minutes was fired into the corner of the goal, the first half finished with another Colchester short corner, however this time the threat was dealt with calmly, by Keeper Cleland. The halftime teamtalk focused on being more composed on the ball and to look to improve possession of the ball. With just two minutes on the clock, Dragons had restored their lead. Some good possession down the left allowed Karen O’Neill Simpson to feed an excellent ball up the line to the ever lively Laura Ward, who drove with pace at the Colchester defence and into the D, the speedy Marcy Windsor Waite had also raced into the D, where Ward played a perfect square pass which Windsor Waite fired goal bound, Ward was then on hand to force the ball over the line. The whole team gave their all for the remainder of the game, to ensure an invaluable 3 points remained the property of the home team. Dragons joint Players of the Match were the hard working Shelly Seaman and Keeper Emma Cleland, who once again was in fine form. So with one game to go, three teams are left to fight it out in the relegation battle in Div 1N; Colchester, Lindum and Norwich Dragons 2s all vying for the one remaining place to secure their status in this league. Whatever the outcome, Dragons have gone out fighting and they should be encouraged by their recent form. With just two wins and two draws, the core of the 4s squad has battled through the season and learnt how to play on with pride despite the results. Consistency of availability for matches has been a challenge for the Ladies 4s this season and Saturday was no exception, resulting in three youngsters being given their adult team debuts. The squad was also boosted by two Gresham’s school girls being given permission to play and a late availability change from another, and so a squad of 13 was assembled, with the luxury of two subs. With the Dragons Ladies 3s having drawn 0-0 with this opposition the previous week, the 4s knew they were in for another tough match in Holt, however they were buoyed by the travelling supporters and prepared themselves well for the challenge. The visitors absorbed lots of early pressure and started to grow in confidence as the youthful defence of Bella Capps, Emma Woodhouse and 13 year old debutant Sophie Barrow picked off the Evergreens attack, with Alice Smith issuing instructions from behind and clearing up any balls that did sneak through. The experience in the team came in midfield, with Hannah Ellis, Clare Moylan (Captain Clare for the day) and Mel Widdows working hard on the game plan of protecting the centre of the pitch and looking to feed the ball wide at every opportunity to the speedy youngsters in the team. The midfield dynamos of Sophia Haehnelt and another 13 year old debutant, Maddy Reynolds, showed great pace and skill to create problems for the Evergreens defence, linking up excellently with forwards Catherine Longe, Anja Finegan, Lucy Morton and another debutant Niamh Somers. Chances were created, one falling to Niamh Somers, who calmly swept the ball towards goal, only to see the Evergreens keeper reach low to her left to clear the ball. Dragons had the ball in the net from their first short corner, and whilst it was awarded by the home umpire, after consultation with his colleague, the correct decision was made to disallow the goal given the ball had not come out of the D. The determination of this team would not allow this disappointment to impact them and they continued to create chances. Some good link up play with Maddy Reynolds resulted in Catherine Longe picking up the ball just inside the D, from where she fired a powerful shot at goal and into the back of the net. Evergreens were an experienced side that pressed well, putting pressure on the Dragons defence for all freehits and eventually they forced an equaliser with a scramble at the near post being forced over the line, much to the disappointment of the young dragon side. The second half saw a stalemate, with the latter stages seeing the ball getting stuck in Dragons defensive left corner and not being able to bring the ball out, the game finished as a 1-1 draw. Player of the match was given jointly to the experience of Hannah Ellis controlling the centre of midfield and to Sophie Barrow, one of the 13 year old debutants that showed great composure and skill at right back. This week the 5th team traveled to Dereham for a tough and crucial game, looking to overturn the 2-1 defeat against Dereham 4s earlier in the season. With a rare weekend off for their inspirational captain and some other squad changes, a win was needed to keep the teams promotional chances alive. Team contribution and effort is what the 5th team have excelled at all season and despite some players playing out of position was absolutely what delivered a resounding win on the day. Our thanks must also go to Sarah Wagstaff for her insightful and valuable input at half time and throughout the match it made a real difference. The first half was end to end and saw Dereham go 1-0 ahead with Dragons struggling to really test the Dereham keeper despite some good periods of play. Dragons having to work really hard to contain the strong Dereham offense. Luisa Valentini having another excellent game, making some key saves and always directing the defense. However a great move down the left started by Cath Mares saw a probing ball put across the circle and rebound from the far goal post. Adita Naik was well positioned to slot the ball home to bring it back to 1-1. The second half was a much different affair and Dragons stretched the Dereham team, playing with far more fluidity and confidence. Creating space and far more chances Dragons capitalised on a number of opportunities and short corners to score 4 more goals. The scorers being Jemima Williams (first goal for the team and what a goal celebration), Lucy Buxton, Helen Marsh and another one for Adita. Dereham pulled another goal back but were never going to threaten the result of the match with majority of play in the Dereham half. The defense of Louise Davies, Jemima Williams and Cath Mares were superb , composed and organised, smothering any Dereham threat. Vicki Early worked tirelessly as ever across the whole of the midfield to mitigate Dereham’s strongest players. Ginny Simkin, Kerenza Moffett, Helen March and Lynne Price created a cohesive midfield unit working to create and use space down both flanks which the forwards of Amy Forse, Lucy Buxton, Adita Naik and Laura Hansell capitilised on brilliantly. Thank you too for all the 3rd team support on the sidelines!!! So a 5-2 win for Dragons and all to play for next week with all top 4 teams playing each other to decide the promotion and league winners. Ladies 6s had another fantastic run on the pitch today, Despite previously having slow starts in matches, Dragons were fierce from the second the starting whistle was blown, this resulted in Anita Mancini scoring our first goal within the first two minutes of the game. After some lovely passing and use of small triangles from the Dragons we were able to get the ball into the Defensive circle to then be awarded a short corner, once it was taken Jemima Dorman was ready on post which resulted in the ball smoothly being slipped into the goal making us 2 nil up. Shortly after Herlings managed to get the ball past our keeper Kat Speirs making the score to 2-1 before half time. As the second half began Herlings upped their game and grew into the match meaning Dragons had to show more strength and depth from the forward line to the defence, by tracking their players runs and intercepting their powerful hits into the centre of the pitch. During the second half again we were awarded short corners which were all drilled consecutively resulting in another two smashing goals to be scored. Our third goal was scored by Lizzie McDonnell after a slide from our captain Beth Elgood, followed by a belly flopped slide from Liz deflecting the ball to the back board. Our last and final goal was scored by Lilly Sore after a short corner the ball travelled around the D but luckily Lilly was there on the left hand post to get the last touch sending it into the goal. Dragons fought very hard using all the energy they had left in them to score the final 2 goals. As a whole Dragons worked collectively as a team to continuously keep the ball in our scoring half of the pitch, our defenders being Kate Atkins, Nicola Robinson, Hannah Woods and Ruby-Rose Turrell were very quick to distribute the ball out wide to our mid-fielders, who were able to channel it up the pitch to the forward players. Hannah Edwards played well and was able to consistently keep the pressure on her marked player, unfortunately she then took a hit to her ankle leaving her to be sub off for a short while, but before we knew it she was back on the pitch maintaining the pressure. Beth Coates too managed to maintain the pressure for Herlings and doing some great runs and passing. And with her powerful hits Sue Brumley was always fighting back with her opposition and determined to use the whack she has to hit the ball either across the D or to a team mate. The Player of Match was a tough decision as everybody played well but the vote went to Jemima Dorman and the Doughnut of the day was awarded to Mia McGhee for her clumsiness and missing the target! As a whole Herlings were a nice team to play against, and they definitely made us Dragons work hard and they didn’t show any signs of giving up and they showed excellent grit and determination just as we did. What a great way to end our final home game of the season!! Dragons 7 faced Magpies 7, and after winning first push back, went on the attack from the start. Magpies had some strong, skilled and experienced players but Dragons used what they had learnt in training to get around them and stop them from scoring. Dragons scored 3 goals in the first half. Goal number 1 came in the first 10 minutes when a scuffle in the D saw Kelly Mills nudge the ball past the keeper. Sophie Thurtell scored next, putting a lovely shot into the goal. The third goal came from a short corner. Defender Frankie Paul (POM) stepped up to receive the ball, giving it a firm strike to hit the back board and her first ever goal for Dragons! The second half saw Dragons tighten up their play, marking players and being first to the ball. The rotating midfield of Floss Andrews, Alice Bishop, Stevie Spencer, Amelia Keitley-Webb, Maisie Dearmer and Claire Fairhurst worked the ball around, using the width to push the ball up the pitch, making use of the triangles and passing back to get the ball around. The forwards of Kelly, Sophie, Jess Vernon and Katie Moulson were all ready and waiting to receive the ball and get into the D. When Magpies did manage to get hold of the ball, Dragons defence of Frankie, Katy Saide and Emma North were there to stop them, with keeper Emily Roper on hand to watch the play and make all saves necessary. Dragons hard work paid off, and 2 more goals were scored by Katie and Maisie. Dragons were pleased with the result and the #supersevens are ready for the last match of the season! Another disappointing result for the 8s, but another match in which it could be said they showed some improvements in the areas they are working on. Dragons had some excuses this week, in that four players were suffering the effects of heavy colds, and then four more players were injured during the course of the game. Carrow showed their intentions from the outset by being first to the ball and picking up any passes that were not properly weighted or accurate. Dragons gradually worked themselves into the game, and began to get their triangular moves going. Bridget Le Good was probably at her most effective at the top of the diamond, and she could find Louise Brooksy Brooks at left mid who sent the ball on to Gemma Ballard covering the left side of the forward line. Tracy Stewart-Sheppard was as effective in reaching Lois Metcalfe and then on to Katy Cole, who did some excellent running across the forward line and led by example in tackling back. Only one goal down in the first half, Dragons looked very likely to be able to score. They had three penalty corners this week and some more shots on target. A facial injury (stick – again) reduced Bridget’s effectiveness somewhat and in the second half it was Brooksy (POM for her efforts and skills) Gemma and Katy who kept Dragons on the move. Katy was playing right mid in some of the rotations and was very effective. The 8s welcomed back Shaniece Claxton, who showed no ill effects from her head injury and went bravely in on the tackle and did some good runs. Ruth Barton was back in defence after several weeks absence, but unfortunately an early injury reduced her mobility. The intention had been to keep the defenders in place, but although Jo Baker, Jess Lockwood, Johanne Steward and Ruth blocked several runs and Ali Pellegrini made several good clearances, it was in the close-scrimmage work that Carrow made their presence felt and succeeded in poking the ball home, so Amy Forse changed the positional play midway through the second half. Anna Chapman moved back to right back as Dragons tried to re-balance their team as the sore knees, sore elbows and strains began to take their toll. Lois did her best to encourage Dragons to keep their shape, and there was one glorious three-player move – from Jo, to Brooksy to Gem – that got the ball from the defence into the circle, But on the whole, the 8s once again were trying so hard to get the ball up to the forwards that then tended to lose their shape and forget about the marking. Something else that worked well – the free hits were being taken quicker. So, just one more match to and still lots more work to do, but the 8s continue to enjoy their hockey. 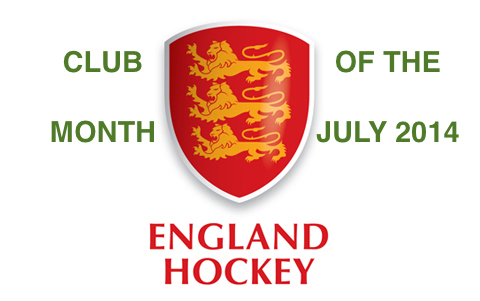 Norwich Dragons Men’s 1s took a step closer to their season’s aim of promotion from Division 2 North with a comprehensive defeat of local rivals Norwich City 3s in a 5-1 victory. In the process, the Dragons also managed to secure the relegation of the City team who were new to the league this season having just been promoted. The Dragons were the more dominant of the two teams throughout the opening passages of play, maintaining a great deal of possession and managing to secure most of the early chances. The first goal eventually came from a deft Matt Knights deflection, after a Richard Gill well-guided hit into the D. City managed to get a goal back, their only real chance of the game after a dubious short corner was converted. Rupert Snelling extended the Dragons lead at the end of the first half however and with a 2-1 lead the team went into half-time aware that the score was still close. The second half display was much more assured from the Dragons and as the game wore on, Dragons extra numbers and supreme fitness showed with Matt Knights extending the lead from a well-executed short corner routine and Dave Sloman making his first appearance of the season for the Men’s 1s added to the lead after a well taken goal, slipping the ball under a helpless City keeper. Mitch Smith making his final appearance of the season made it 5 with a well taken goal, after some excellent work from eventual Man of the Match Ollie King. A win next week against March Town will secure promotion for the team. Dragons Men’s 2s produced a defensive masterclass to somehow beat North Norfolk 3-2. With usual availability low this week, the Petes (Davison and Thomas) and Piers Gordon-Brien were called up and skipper Jason Wolfe was coaxed out of retirement to give the away side a bare eleven. Dragons went 2-0 up early courtesy of penalty flicks from Jason Wolfe and Lewis James Wilkins. The first flick was awarded for a foot on the line after a Wilkins shot and the second was won after a mazy Jenkins run from virtually the half way line into the D where a Pete Thomas reverse stick effort met a North Norfolk foot on the line. However, after 15 minutes, the complexion of the game changed as Andy Hipper lost two teeth with a direct hit to the face. With no subs available, Dragons’ 10 men parked the bus in a performance Jose Mourinho would have been proud of. 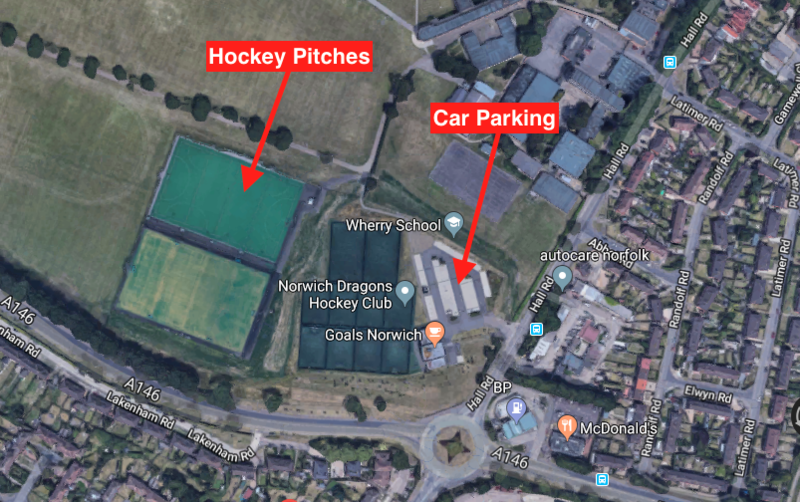 Dragons managed to repel attack after attack from the home team and relied on some quick counter attacks and individual skill to venture into North Norfolk’s half to release pressure. Just before half time, a Wilkins ‘deliberate’ foot made the task even harder as only 9 Dragon players were left on the pitch. A half time team talk jumped between the task in hand and Hipper’s inevitable trip to hospital and logistics behind it. Hipper wouldn’t allow Dragons to take anyone away from the game and found his own transport back to Norwich, giving Dragons a glimmer of hope. The second half followed a very similar pattern to the first. However, this time, pressure eventually told as weary Dragons’ legs meant North Norfolk clawed it back to 2-2. In a frantic last five minutes, there were numerous green cards for both teams, a disallowed winner for North Norfolk and one last short corner for dragons after Jenkins brought down a Wilkins aerial in the D with a defender punished for not being five yards. Fittingly, Jase, on his return from retirement, nailed in a rebound from a Pete Thomas flick in the last two minutes of play. It was a Herculean effort from all of the team and every single player played their part to pull off a seemingly unlikely victory. This was represented as the whole team were awarded man of the match. Definitely one for the scrap book and a match that everyone involved will be telling their grandchildren about in years to come. Dragons travelled to Taverham to face City, who fielded a strong side as they looked to secure their spot in the league for next season. City made a bright start to the game and before the Dragons had a chance to get into it, City had scored 2 goals, with their aerial tactics taking a bit of getting used to. A third goal followed for City, taking them 3-0 up after about 10 minutes. Chris Millar in the Dragons goal made several excellent saves to limit the damage. To their credit, Dragons didn’t allow their heads to drop and started to come back into the game. The defence of Dave Pentin, Andy Carver, Paul Keating, Jon Price and Phil York-Smith organised themselves to deal with City’s attacking players. York-Smith showed City a few aerials of his own, aiming towards the Dragon’s forwards Jon Chaney Baxter and Adie Kemp, though the experienced City defenders cut out these balls most of the time. Dragons continued to improve as the half wore on, Rich Phillis and Rob Jenkins working hard to mark the City midfielders and break up the play, whilst Nick Turner, McCartney Aldous and Rob Chaney Baxter were particularly energetic in moving up and down the pitch on the wings. The Chaney Baxter brothers started to get more possession and caused City increasing problems with Jon’s slick skills a great foil to the pace and directness of Rob’s attacking runs. Shortly before half time, they combined to bundle the ball in, Rob claiming the final touch, making the score 3-1 to City at the break. The second half was pretty even, both sides creating a number of chances, however it was the CB brothers who stole the show. Dragons pulled a further goal back when Jon received the ball midway into the City half, turned and beat a couple of defenders before slipping the ball to Rob who slotted home. 3-2. Rob then completed his hat-trick and levelled the scores with a fantastic solo effort, attacking down the right hand side and beating the onrushing City Keeper (ex-Dragon Rob Coyle) with a dinky lifted finish. The game was played in a good spirit and well umpired. Dragons finished the happier team, the draw feeling more like a win. Man of the Match was Rob Chaney Baxter for his excellent work rate and 3 goals. an insight into school life and what he got up to in the shower block? more confident with every game and on to next week. We started off well in the first 15 minutes and after some amazing running we scored two well deserved goals. Then Norwich City pulled back with a goal from a short corner and a scruffy goal. At half time our coach gave us a rousing talk and we went back into the game. The talk paid off and we scored another goal early in. After some great passing we got another goal. Even though we were playing well Norwich City slipped another goal in. This goal gave our players the determination to push back hard and we scored our 5th goal. But at the end of the game we lost concentration and in the last minute Norwich City scored a goal from a short corner. Final score: 5-4 win to Dragons. This entry was posted in Latest News on March 19, 2017 by admin.